You’ve found it! That ideal Vermont cabin experience that you’ve imagined. A wonderful combination of rustic charm and contemporary comforts to make for a perfect getaway. We’ve built our 4-season artisan-crafted timber frame cabins from wood harvested and milled ourselves on our 112 acres in the Green Mountain National Forest. It’s now our pleasure to share the cabins and this glorious setting with you! While our half-mile driveway delivers our guests to a secluded location on the Eastern slopes of Robert Frost Mountain, our cabin rentals in Ripton, VT are conveniently located near Middlebury – a quaint college town that offers lots to do and see. For those of you visiting or attending Middlebury College, you’ll appreciate the short drive to the college’s Main and Bread Loaf Campuses, Snowbowl Ski Area, and Rikert Nordic Ski Center. The cabins themselves are charming, well-appointed and offer a secluded setting with forest or panoramic mountain views. Each has been positioned to provide privacy – yet within just a short walk to our common areas offering additional amenities. When you step inside your fully furnished cabin we hope that you’ll immediately feel at home, breathe a big sigh and leave your cares behind. You can choose to curl up in your Swedish-style reading nook, warm your body and soul by your fireplace, savor a meal prepared in your fully equipped kitchen, or sip a morning cup of joe on your roomy screened porch. And when the outdoors beckons to you, choices abound both on our property and in the surrounding area. Explore the numerous lakes, rivers or trails, pick some berries, stretch out in a hammock, sit by a campfire, go birding, swim, paddle, bike, snowshoe, ski or snowmobile. There’s something for every kind of outdoor enthusiast and nature lover. Not an outdoorsy person? Not to worry – there’s something here for you, too. Check out The Area page on our site for lots of info about attractions, events, restaurants and more – all within a short drive from our property. Here at Robert Frost Mountain Cabins, we’re pleased to offer year-round short term or extended stay lodging. Our stand-alone, private cabins are an ideal option for families, individuals, or romantic couples looking for a Vermont getaway. So whether you’d like a short break or a place to hang your hat for a longer period, take the road less traveled to Robert Frost Mountain Cabins. We promise that it will make all the difference. The journey to create Robert Frost Mountain Cabins began as a “what if” conversation in the 90’s. Over the years, we refined our vision and set about finding the ideal spot to turn a dream into a reality. After a long search that included many peaks and valleys (both literal and figurative), we discovered the 112 acres that’s now home to Robert Frost Mountain Cabins and knew almost immediately that we’d found the spot that could provide the welcoming, picturesque and peaceful setting that we’d envisioned. Today, after many years and, yes, considerable effort, we’re able to share this beautiful setting and our seven cabins with you. 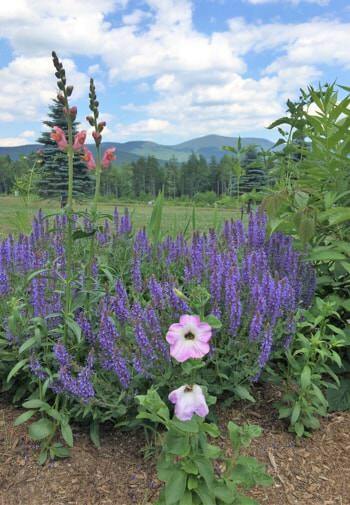 Whether our guests come for reprieve from the hustle and bustle, a family reunion, a nature experience, a romantic wedding proposal, or a home away from home while exploring beautiful central Vermont, we find joy in making it possible. We hope that you, too, are touched and enriched by taking our road less traveled. It pains us to leave such a glorious place – thank you for your lovely cabin and generous hospitality.